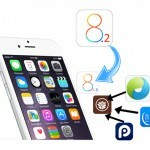 Home › iOS 8 Jailbreak › What is the best jailbreak tool for Cydia iOS 8+? Finally, most of the Apple idevice users have satisfied about new iOS version. According to the latest reports, 75% of users have shifted to the iOS 8. After updated their devices to iOS 8 versions, users’ next aim is get Cydia for their iOS 8 device. Therefore, iOS 8 users have to find suitable jailbreak solution for do that. Fortunately, Cydia can be downloaded now for whole range of iOS 8 versions, except newly released iOS 8.1.3. The iOS 8.1.3 jailbreak update also will available next few days. There are several methods (jailbreak tools) ready to get Cydia for your iPhone, iPad and iPod, which are running on one of the above iOS 8 versions. So, someone get confuse when selecting a jailbreak solution to download & install Cydia for their idevice. Therefore, here we provide some guide for iOS 8 users to install Cydia on iPhone, iPad or iPod by selecting most appropriate jailbreak tool. For my iOS 8 device, What is the most suitable jailbreak solution ? 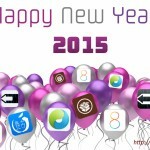 For best choice, we have to simply study, pro & cons of above jailbreaking programs. Then, you can get good idea about what is the best for you according to the features that serve by the iOS 8 jailbreak teams. 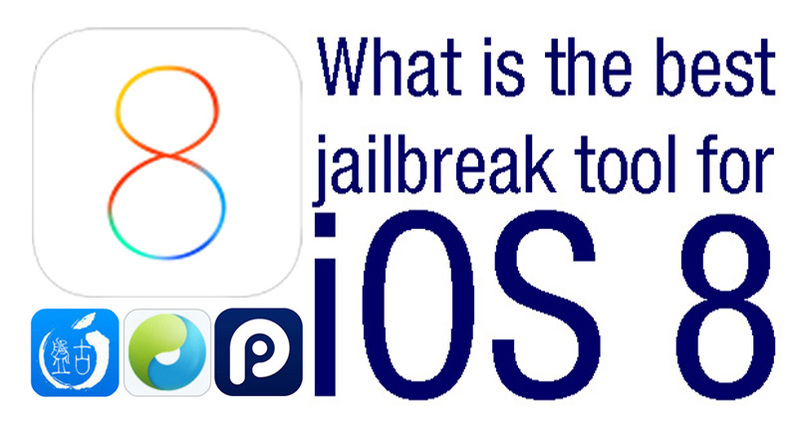 What are the considerable things before choose tool to jailbreak for Cydia iOS 8 ? Is there procedure for error handling with jailbreak solution? This is the very first release of jailbreak iOS 8 version for iPhones, iPads & iPods. This tool provides untethered jailbreak solution for firmware version iOS 8 to iOS 8.1. This tool support Cydia download for all idevices, which are running iOS 8.0.0, iOS 8.0.1, iOS 8.0.2 and iOS 8.1 updates. Because of integration Cydia installer, it ensures automatic Cydia installation process during the jailbreaking iOS. Pangu 8 is the one and only iOS 8 jailbreak solution which supports for both Windows & Mac computer OS. If you upgraded your idevice to iOS iOS 8.1.1 or higher OS, you do not consider about Pangu tool. Completely it is not suitable for jailbreak your device. Because, it only supports up to iOS 8.1 version. The other good thing is, Windows and Mac both users are able to work with Pangu 8 jailbreak tool. Without any doubt, it serves both platforms. Also, the Pangu team has one more experience in jailbreak field. They have successfully done iOS 7.1-7.1.2 jailbreak for Cydia with Pangu 7 tool. iOS 7.1 – 7.1.2 users, Click here to download Pangu 7 jailbreak guide. Suggestion : For iOS 8.0 to 8.1 iPhone, iPad, iPad Mini or iPod users; Pangu8 is more suitable jailbreak tool for you. Because, it is the more trusted & error free version for iOS 8 jailbreak. TaiG is the super-fast & easy jailbreak program for iOS 8. It can install Cydia for iOS 8 up to iOS 8.1.2 versions. This tool also released by the team of Chinese hackers like Pangu team. This is also the trusted solution for untethered jailbreak iOS 8. Most of the specialists have confirmed that. The cons of TaiG are; only work with Windows. Mac version still not yet released. Other thing is, TaiG jailbreak run time errors are much higher than the Pangu8 jailbreak. Therefore, it is better to use Pangu8 tool for iOS 8 – 8.1 users. However, TaiG is the one and only solution to get Cydia for Windows users with running iOS 8.1.1 and 8.1.2 iPhone, iPad or iPod device. This also the simple & fast jailbreak programs for Cydia download & install on idevices that run on iOS 8 up to iOS 8.1.2 update. Bought to you by another China jailbreak team. Integrated with Cydia installer latest version. PP jailbreak cons : Not support to the Windows. Only Mac version available. No English version yet. In Chinese language. If you are Mac user with iOS 8.1.1 / iOS 8.1.2 idevice hands on, PP jailbreak is the essential good solution for you.